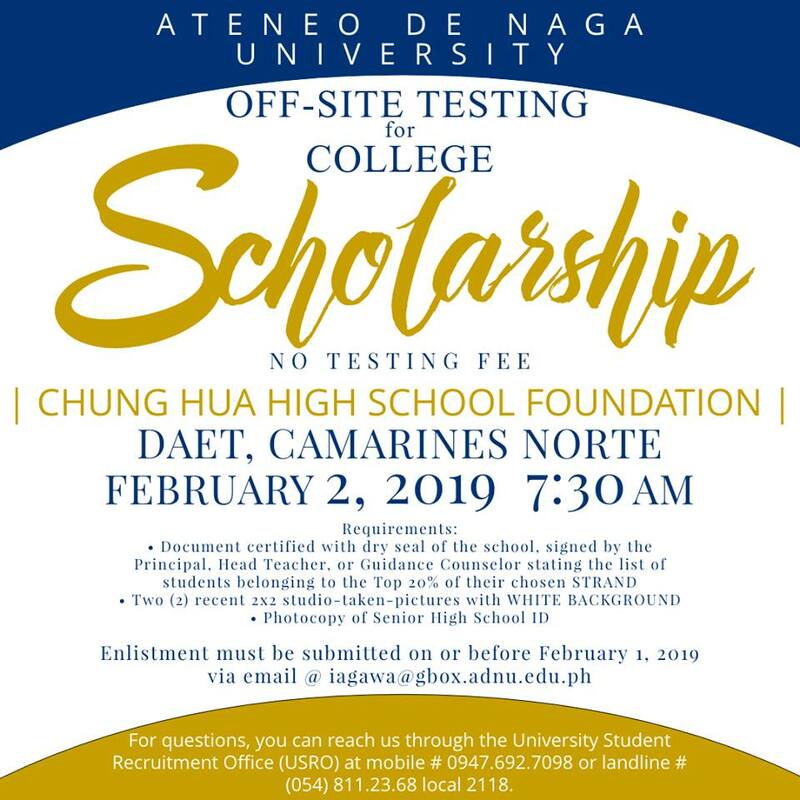 Ateneo De Naga University will have its free off-site testing for our College Scholarship program in Daet, Camarines Norte on February 2, 2019 at Chung Hua High School Foundation. The exam will start at exactly 7:30 AM. For more information, please contact us via email at iagawa@gbox.adnu.edu.ph or call us at (054) 881-4123 local 2007 / 0928-718-4334.